We have carved a niche as one of the major Spring Steel Screen Manufacturers in India. The use of optimum quality materials in the manufacturing of the Spring Steel Vibrating Screen ensures notable features like high durability, tensile strength and resistivity to adverse conditions. 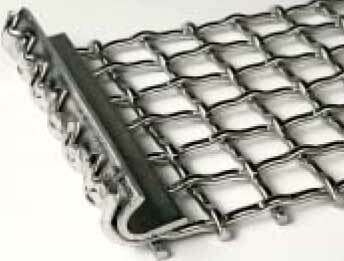 Additionally, the Wire Mesh Spring Steel Screen is available in varied sizes and dimensions as per the specifications provided from the clients.